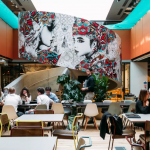 The Gridiron Building at One Pancras Square is an iconic space that would suit any business searching for something a little extra from their office space. With cast iron pillars that are a respectful nod to King’s Cross’ Victorian past, this incredible building overlooks Pancras Square which will be filled with restaurants, shops, green spaces and the all-important bars and cafes! There’s also a swimming pool and gym across the road, so there can be no excuses for not keeping fit. 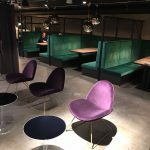 If you’re still not sure about this space and what it can offer your business, there’s direct access to Kings Cross St Pancras tube via the ground floor of the building. What more do you want? 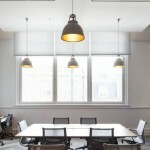 As you would expect from such a great building, the meeting rooms are top notch. They’re tailored to specific types of meetings and are available by the hour or the day. Not keen on moving here physically? Don’t worry, we can still help. A Virtual Office Membership can help your business establish itself in Kings Cross without actually being present.